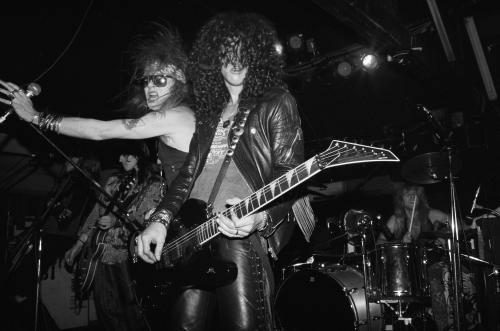 Credited with reviving hard rock’s mainstream popularity in the late 1980s, and providing music fans with a rebellious alternative to the comparatively soft dance and glam metal of the same era, Guns ’N’ Roses remain one of history’s most legendary bands. 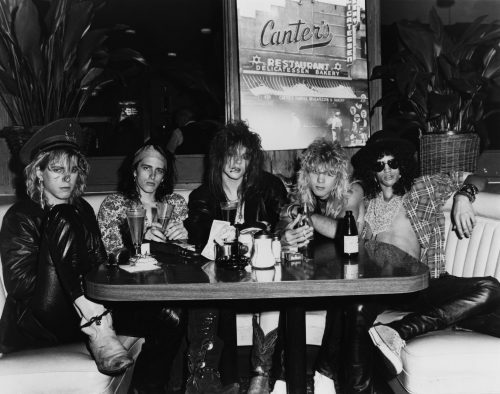 The original line-up of Guns ’N’ Roses (Axl Rose, Slash, Izzy Stradlin, Duff McKagan, and Steven Adler) announced their arrival with a momentous debut album: 1987’s Appetite For Destruction. 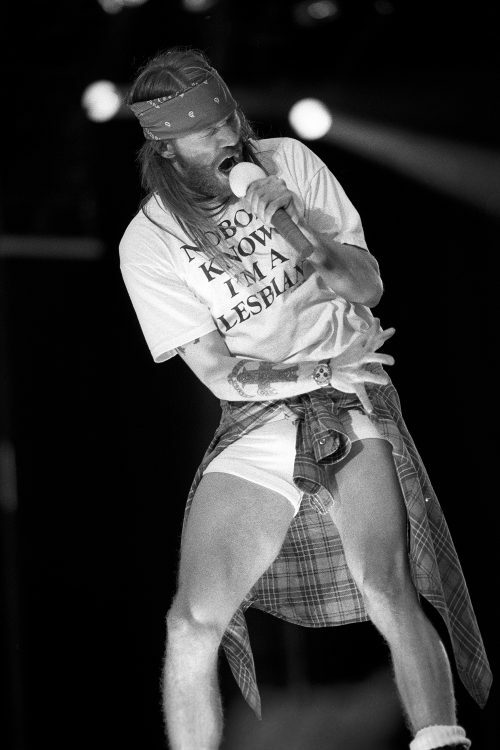 Singles Welcome to the Jungle and Sweet Child ‘o Mine became instant hits. The band’s fans helped to guarantee a legacy for the Los Angeles-based group by constantly requesting their music videos on MTV. 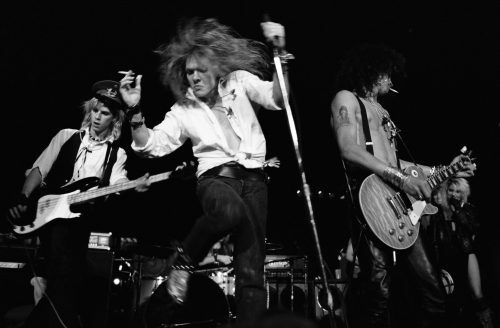 Despite the turbulent atmosphere surrounding Guns ’N’ Roses, the band has remained at the forefront of rock music for more than 30 years. 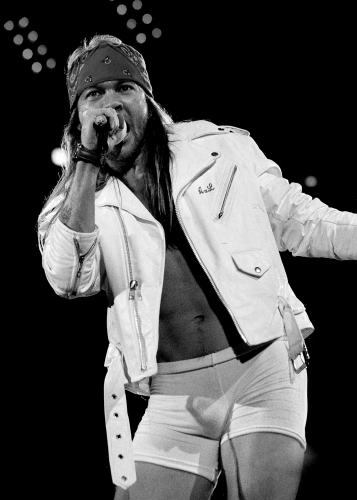 Their chart-topping albums and record-breaking accomplishments are amplified by the cartoonish personas of Axl and Slash – the loudmouthed singer and virtuoso-level lead guitarist are unmistakeable rock stars. Cinematic music videos such as November Rain may have been instrumental to Guns ’N’ Roses’ success, but nothing compares to the band’s explosive on-stage presence. 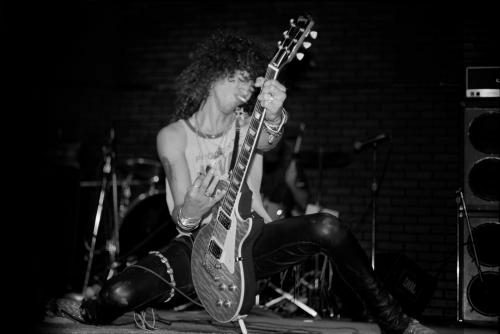 These photographic prints hark back to the glory days of G’N’R, from fret-shredding Slash solos to fiery full-band portraits.